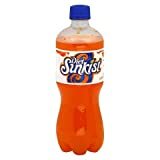 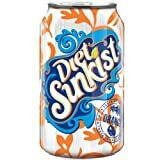 Diet Sunkist Orange Soda is the zero calorie version of Sunkist Orange Soda made by the Dr Pepper/Snapple Group. 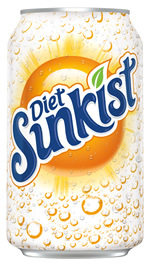 It is sweetened with aspertame and ace-k.
How Does Diet Sunkist Orange Soda Compare? 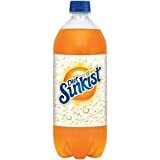 Diet Sunkist Orange Soda contains 3.50 mgs of caffeine per fluid ounce (11.83mg/100 ml).